People ask us about our name “Tomorrow’s Warriors” all the time – the best we can say is that it stands for our fight for all young musicians – especially with an African-Caribbean heritage, girls and those who possess extraordinary artistic capacity who struggle to thrive in average settings – to have the chance to excel in making great jazz music. We are always looking for the best opportunities and we are so very proud of an unsurpassed track record of developing the hottest and newest generations of jazz talent. Since 1991 we have picked up have over 45 awards for Jazz. Having nurtured and supported so many jazz professionals who headline and command gigs on world-class venues in their own right, often touring globally, this is a true testament to the strength of our programmes. Thanks to our weekend artistic residency at Southbank Centre we are able to invite young musicians to join our Young Artist Development Programme where they can experience some of the best years of their musical lives through our carefully planned learning and participation model of musical progression. 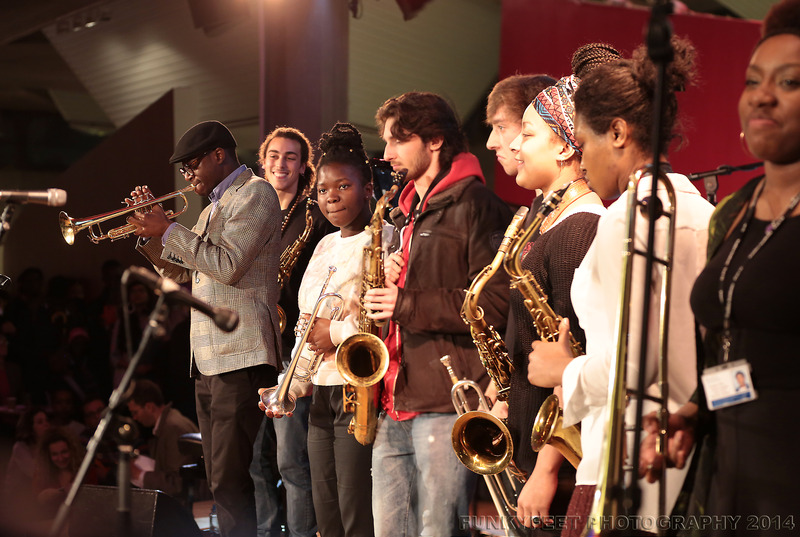 Whilst seven of the young cohort accepted places at conservatoires, several of our emerging took the stage at high profile venues Royal Albert Hall, Watermill Jazz and Ronnie Scotts. We’ve got spaces for enthusiastic young musicians to join and because our sessions are completely free, there’s currently no need to worry about the cost. We are open every weekend during the school term – and there’s never been a better time to join in with so many of our young Tomorrow’s Warriors moving towards band and artist development programmes. All our development sessions are in now full force with the youth orchestra focused on getting ready for our next fabulous Tomorrow’s Warriors amazing gig. Join us!